We offer trampolining to all levels of all abilities and all ages. Our trampoline classes are organised into three distinct squads (all are welcome to attend all sessions). The squads are development, regional (competitive) and national/elite competitors. As a competitive club, we assume that everyone will compete for the club when they are ready but we will not force children into competition if they find it frightening or do not wish to compete for any other reasons. 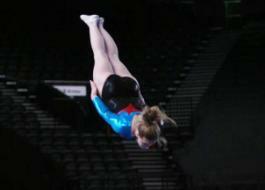 Our trampoline coaches are amongst the best qualified in London and we are respected nationally and internationally. London Trampoline Academy was formed in July 2012 from the former Team Nova Trampoline, Double Mini Tramp and Gymnastics Club. We have decided that we need to recognize the full range of activities offered by Team Nova. Although the competitive side of the club remains at the forefront of our activities, we are now more than just a competitive club. We cater for GCSE, D of E, JSLA, PHSE, Stunt register, Skiing (Water and snow) and related activities, Disability and recreational and we have an increasing number of satellite centres under development. Our members come from as far afield as Surbiton and beyond, and Camden and beyond. The club is now called London Trampoline Academy in recognition of the above. In effect it is the “Company Name” that becomes London Trampoline Academy and we will be “Trading As” Team Nova at competitions. Our competitive side will remain as Team Nova. All existing competitors at any grade will remain as members of Team Nova .